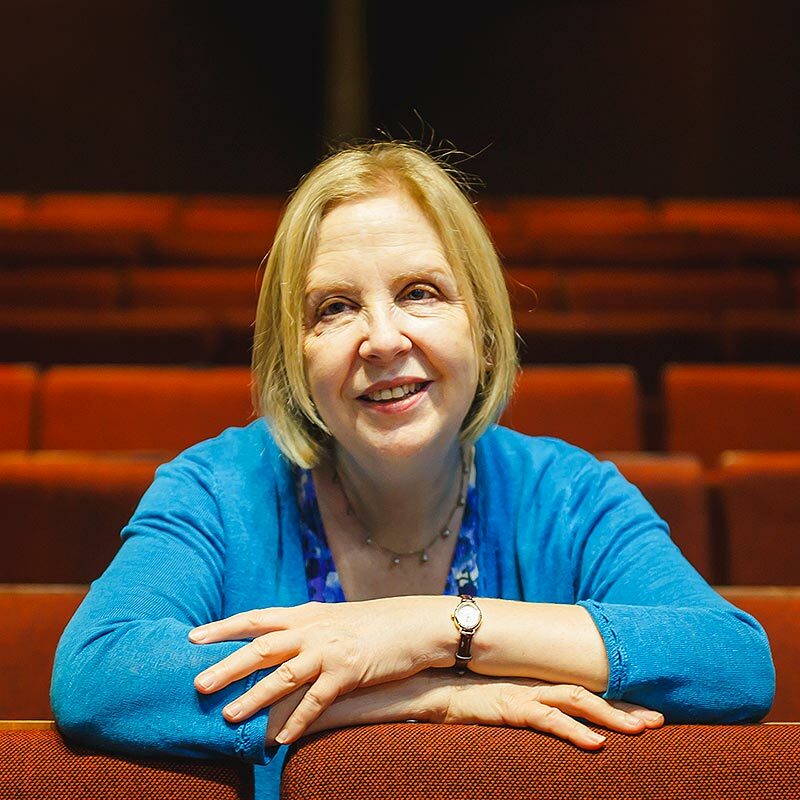 It's a beguiling seven hours in the theatre – as layered as a delicious trifle, sometimes as sweet, but leaving a lingering sense of satiation as if having swallowed something substantial and nourishing. This is a show which feeds the soul. The cast of The Inheritance. Photo by Marc Brenner. Matthew Lopez’s play doesn’t just borrow from EM Forster’s Howard’s End, it plunders it. It constantly acknowledges its own magpie instincts and uses Forster’s 1910 novel as a template to look at contemporary gay men in New York City, how they do not know their own history, and how Aids robbed them of a generation of men who might have been able to light the way. Forster (Paul Hilton in a performance of terrific modesty and depth) wanders the stage handing out advice but also representing an earlier generation who remained closeted. Look, this isn’t flawless — although Stephen Daldry’s exquisite, pared back production often persuades you that it is by cleverly disguising the messiness and creating a sense of falling through space and time — and I found the comfortable affluence of almost all the almost exclusively male characters a little teeth-grating at time. But you know what? After a while I simply didn’t mind, so much had I become swept up in the story of Eric Glass (Kyle Soller), a man trying to live with integrity and the fall-out from his break-up with damaged wayward lover Toby Darling (Andrew Burnap). 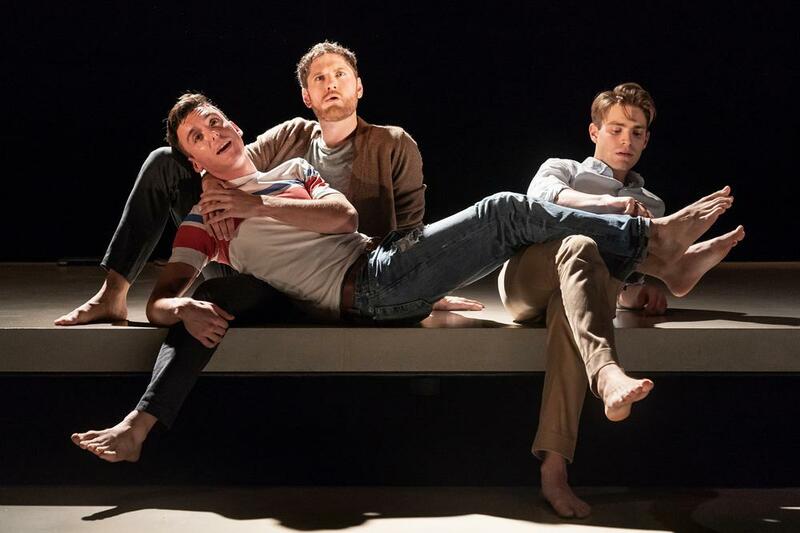 Samuel Levine, Kyle Soller and Andrew Burnap in The Inheritance. Photo by Marc Brenner. Some have compared this to Angels in America and it is easy to see why, but that is like trying to say that apples are like pears. Lopez’s play is less of a wild ride, less overtly political but no less affecting as it narrows down to one couple’s story to explore how history is transmitted, the legacies we pass down and what remains hidden, sometimes because we are wilfully blind to it. 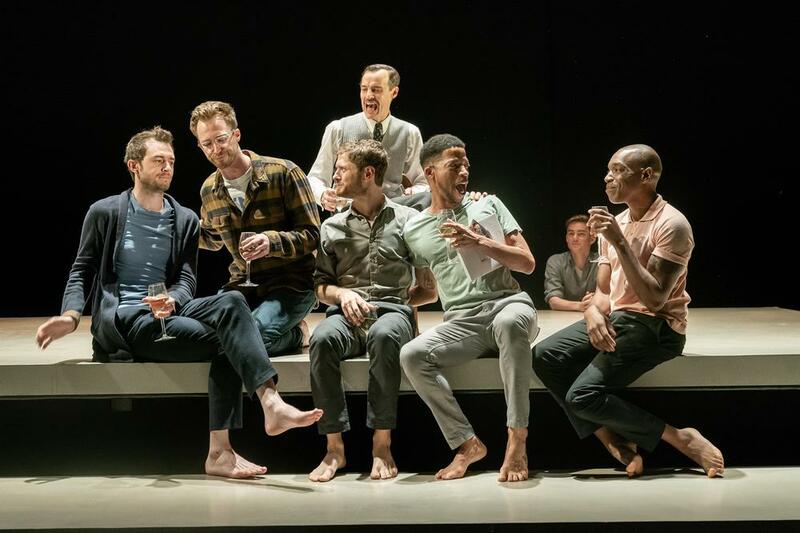 But Lopez makes us look and see and there is no more spine-tingling, heart-piercing moment currently on the London stage than when the ghosts of the young men who died or Aids begin to walk. What has been, what might have been and what would be are distilled in a single moment. This is an exquisitely acted, utterly engrossing evening, full of heart, spirit, philosophy and more than a touch of melodrama, featuring — as in Howard’s End — a story about a bequest denied. Riveting stuff, an utterly brilliant advertisement for the power of telling stories, and a heart-breaking look at what it means to be loved or unloved. Stagedoor tip: you can buy tickets to Parts 1 & 2 of The Inheritance through the Stagedoor app. With Apple Pay, it only takes 30 seconds.